The latest batch of Hillary Clinton emails released by the State Department offer important insight into the former Secretary of State's time on the president's cabinet. It also included one very epic battle with a fax machine. In an exchange with longtime aide Huma Abedin on December 23, 2009, Clinton cannot seem to figure out how to receive a fax. 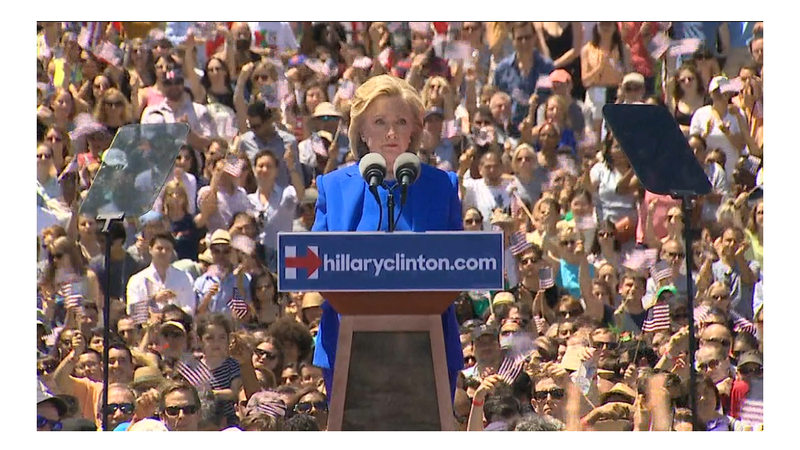 Clinton: I thought it was supposed to be off hook to work? 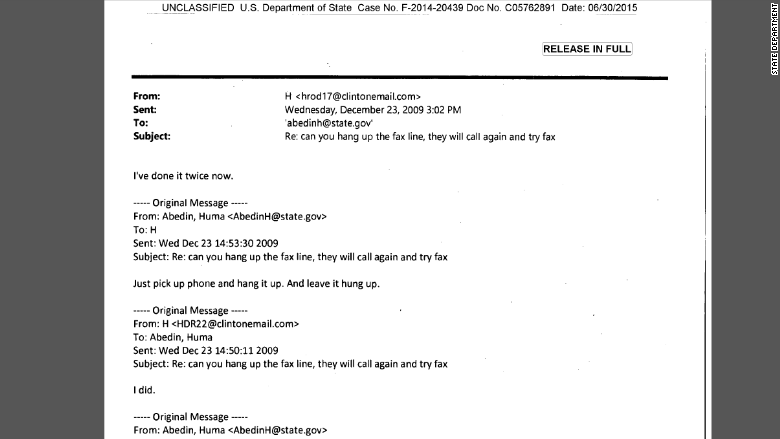 Abedin: Just pick up phone and hang it up. And leave it hung up. Clinton: I've done it twice now. Clinton: Still nothing. Call Oscar if they need help. I'll be out of pocket for an hour or so. At 9 p.m. ET Tuesday, the State Department posted to its website the latest batch of Clinton's emails from her time in office. In this latest round, there were 1,925 separate emails totaling more than 3,000 pages, all from 2009. It's a fraction of the 55,000 pages of emails Clinton turned over to State for processing. The department is releasing the documents in sets monthly, under a U.S. District Court ruling, after they're reviewed and with some information redacted.